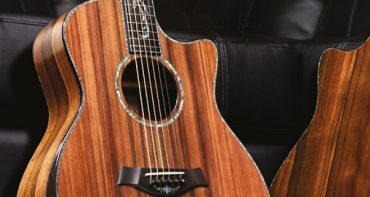 Thanks to a couple of major new innovations and some memorable performances by from Taylor artists, this year’s NAMM show in Anaheim, CA was a rousing success. 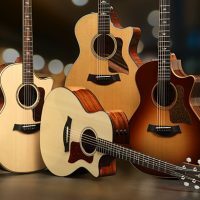 Across the span of four days, thousands of music industry professionals, guitar players, and recording engineers stopped by the Taylor showcase to explore the 2018 lineup and discover what’s in store for the new year. Here are the highlights from one of our best NAMM shows yet. 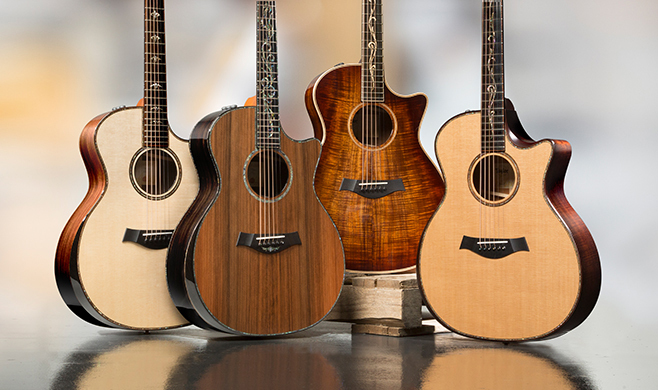 Between the launch of our revolutionary new V-Class bracing and the release of our Builder’s Edition, 2018 is shaping up to be a huge year for Taylor. 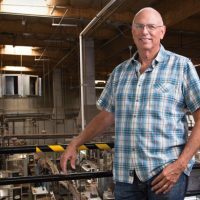 That excitement was on full display at the Anaheim Convention Center for NAMM. 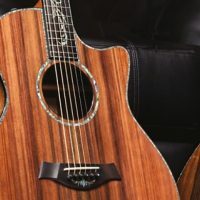 The Taylor room, complete with two huge walls of stunning guitars and a stage for live performances, was bustling from start to finish, and everyone seemed to be talking V-Class. 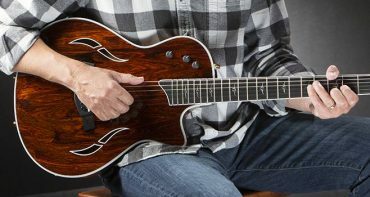 We brought our latest and greatest along with us—that is, the four new guitars that mark the release of our game-changing new bracing pattern. 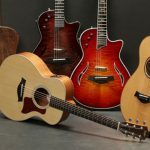 Those are the ebony/redwood PS14ce, an all-koa K24ce, the revoiced 914ce, and a new K14ce that marks the launch of our Builder’s Edition line. That illustrious bunch adorned our featured V-Class wall, and that’s where much of the action was focused throughout the weekend. Of course, we brought the rest of the arsenal along, too. 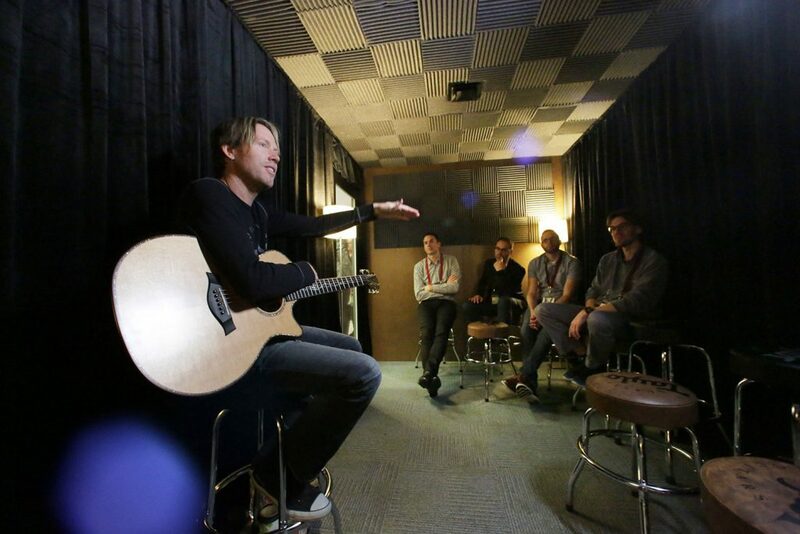 Everything from the Academy Series to a hand-picked set of NAMM-exclusive Taylor guitars to a range of T5 and T3 models was there for guests to explore and play—it made for a noisy room, but that’s the only way we’d have it. 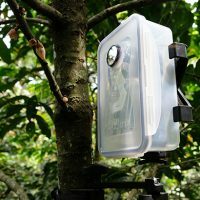 There’s just nothing better than helping people discover the fresh sounds of something truly new. 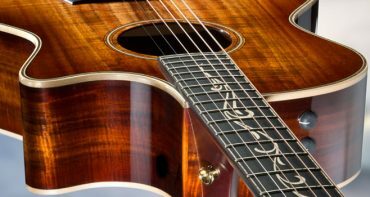 NAMM is an industry trade show, so it’s unfortunately not open to the general public. That’s why we try to make sure that our fans around the world have a chance to get in on the action. This year, we took it to the next level with a live video setup that helped us share the goings-on of the show with people everywhere. Hosting the live stream throughout the weekend was singer-songwriter Daria Musk, a Taylor artist and one of our prime social media ambassadors. From the soundstage, Daria jammed with the likes of Chi McClean, Steph Johnson, Dauzat St. Marie, and more. 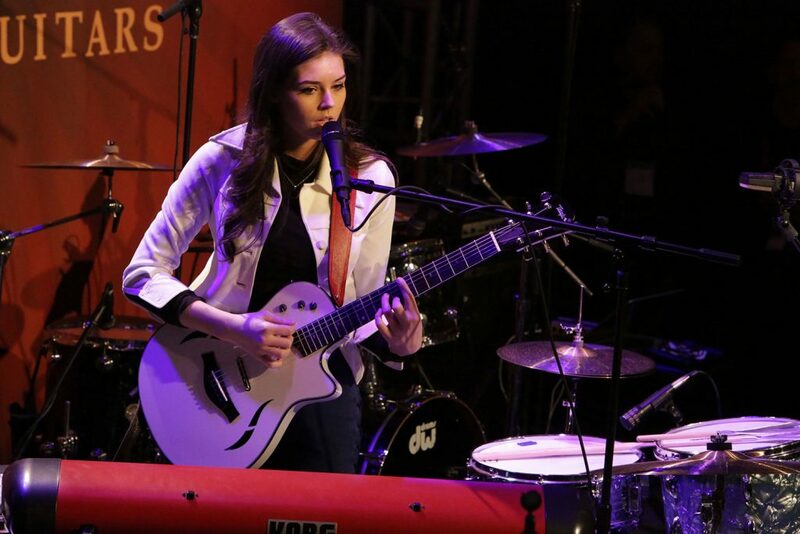 You can find more of these videos from the NAMM show on the Taylor Facebook page. 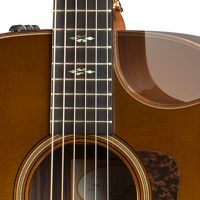 Of course, the real star of the Taylor show for the weekend was our new V-Class bracing, a revolutionary design that changes the way an acoustic guitar can sound. 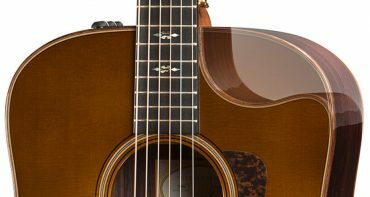 To help illustrate the power of this new bracing pattern, product specialist Marc Seal hosted ongoing demos from the Taylor room, playing each of the new V-Class guitars and explaining the origin and mechanical function of the design. 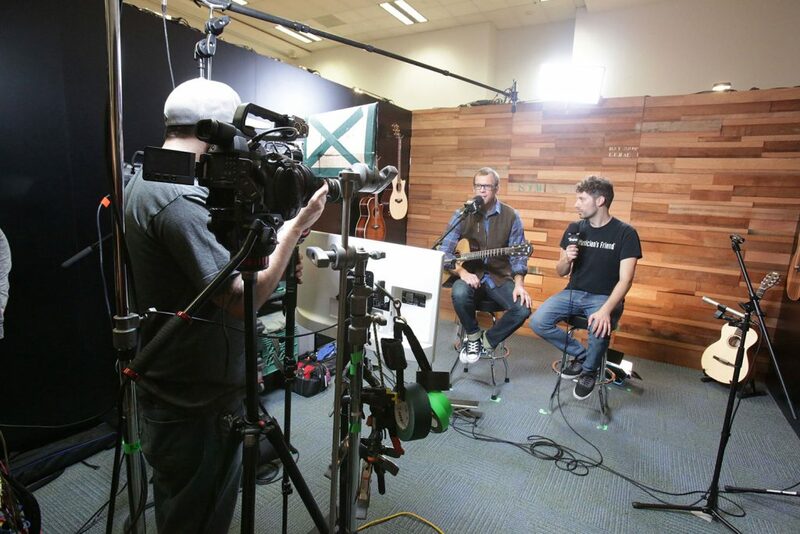 It will always be challenging to accurately demonstrate a guitar’s sound over video, so having Marc there to explain live and in-person was a huge help in showing pros from around the industry how V-Class can open up new musical avenues for guitar players. 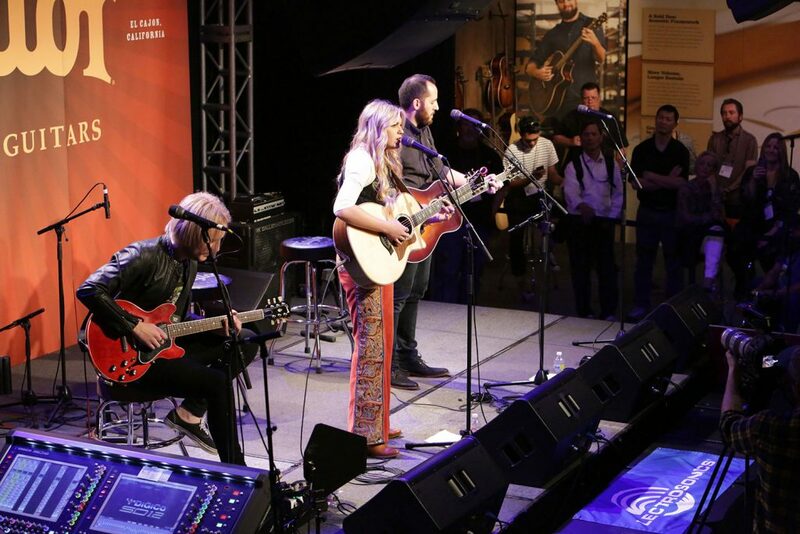 Every afternoon during the show, members of the Taylor artist family lit up the stage in our NAMM showcase room. We’re dedicated to helping passionate artists share their work and advance on their musical journeys, so it was a delight to have these talented people gracing our stage for the weekend. 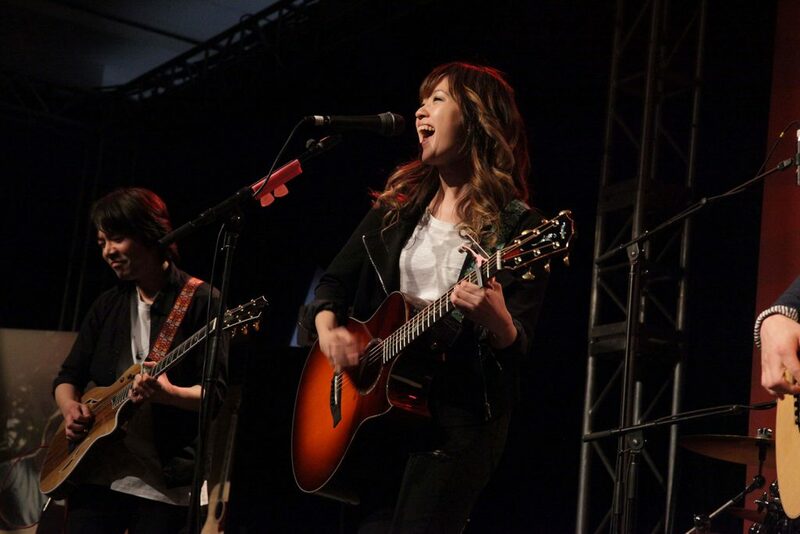 On the main stage, we kicked Thursday off with a set of shows by some of our emerging artists from Japan, including CJ Li, a fiery singer-songwriter with a bit of American pop sensibility. After that, our friends from Barefoot Movement played a raucous set of bluegrass bangers that pumped up the room and got everyone excited for the rest of the show. Friday was no different, with plenty of energy and lots of sound coming from the Taylor room from open till close. Sour Blossom, our alt-country friends from Los Angeles, started the day off, followed closely by Elise Trouw. If you’re not familiar with Elise, she’s a boundary-breaking solo musician who utilizes loops, drums, keyboards, and her Taylor guitars to create mashups and original songs that sound like nothing else. 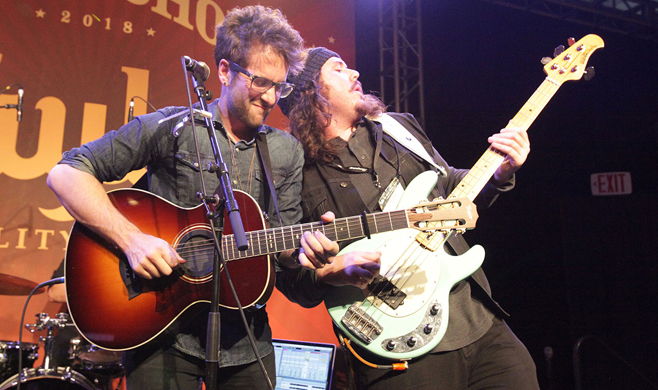 To close out the evening, rocker Will Champlin tore up the stage with Kurt Hugo Schneider with his brand of soulful rock. 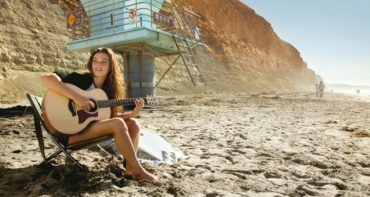 For Saturday, we brought in a few more of our favorites, starting with rising country star Brennley Brown, whose appearance on the Voice has garnered her growing fame. 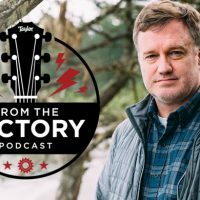 Nolan Neal stopped by to perform on his trusty Taylors and sang us some of his unmistakably gravel-throated, heartfelt tunes. And to close it all out? 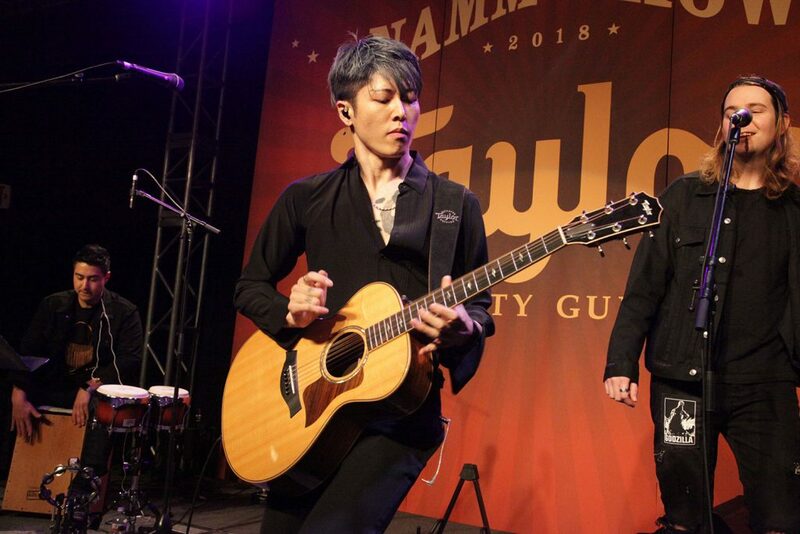 Miyavi, singer-songwriter and guitarist, took the stage to belt out the distinctive high-octane crowd-pleasers that his fans have come to expect. 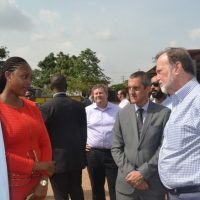 By the end of the weekend, it was clear that our new V-Class and Builder’s Edition guitars had made an impression, with the help of the diverse and talented artists who shared their music with us and our guests. 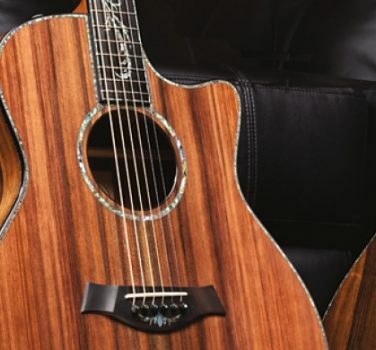 In fact, Taylor Guitars took home the coveted Best in Show award, given to the exhibitor who brings the most impactful innovation and presentation to the convention each year. Reviews are still pouring in for V-Class and Builder’s Edition, but here’s a sample of what the early critics are saying.